As your One-Stop partner, we carry a wide range of printers, parts, accessories and supplies at very competitive prices. We sell both original brand (OEM) and remanufactured inkjet cartridges, toner cartridges and drum assemblies for inkjet printers, laser printers, copiers, multifunction printers, fax machines and wide format plotters at competitive price. We carry both OEM and compatible solid inks for Xerox printers, thermal film cartridge and refill for fax machines, and ribbons for impact printers and POS terminals. 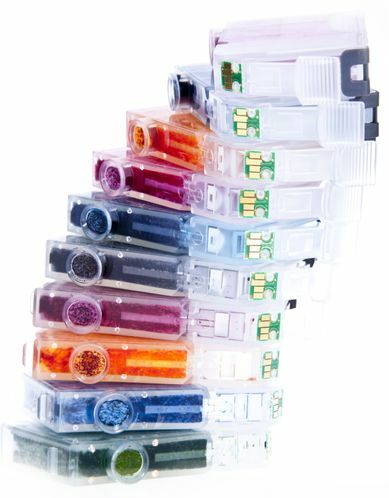 Our compatible or remanufactured cartridges are made under strict quality control conditions, using both new and recycled components to meet or exceed the original cartridge specifications in terms of print quality, page yield and reliability. Looking for a printer, wide-format plotter, copier, fax or multifunction printer for home or office? At thinqINK Computer Supplies, we have both new and refurbished units to meet your requirements. We carry printer parts and accessories (such as fuser assemblies, transfer belts, maintenance kits, etc.) to keep your machines running at its prime. We also carry printer cables, networking cables, office paper and labels, as well as thermal paper rolls for POS and debit machines, all at very competitive price. Need a price on printers, parts or supplies? Contact us or fill in the information below. We diligently source our products from various reputable suppliers. We work closely with our suppliers to assure quality and reliability. Should a product from a particular supplier not meet our expectations, we would convey our concern to the supplier and change if necessary. If we do not have the particular model in stock for the customer, we would get them in approximately three to four business days. We offer printer recommendations to meet the customer's requirements. Give us a call or come visit us at our store in Calgary to find out what we offer. We would source any difficult-to-find consumables (such as suppliers for older printers or office machines) for the customers at competitive price as soon as possible. Stay connected with us on our Instagram, Google+ and Twitter pages for news and updates (including new arrivals and sales).